BP may be looking to sovereign wealth funds in the oil-rich Middle East to fend off takeover bids amid mounting costs from the Gulf of Mexico oil leak disaster, according to reports published Sunday. The National, an Emirati newspaper, cited unnamed "informed sources" in the region saying that Mideast financial institutions have submitted proposals to BP advisers and are waiting for a response. Among the options being considered are the acquisition of key assets or a direct cash injection to help strengthen the oil giant's balance sheet, according to the English-language paper. The paper quoted a person it called an informed source as saying that "BP knows there is potential support from the Middle East." The National is owned by the government of Abu Dhabi, one of seven emirates that make up the United Arab Emirates federation. The sheikdom hosts the country's capital and controls nearly all the OPEC member state's oil reserves. BP spokeswoman Sheila Williams in London declined to say whether the company had been approached by investors from the region. "We don't comment on financial issues," she said. The article coincided with a report in London's Sunday Times that BP is looking for a strategic investor to help fend off takeover attempts. It said the company's advisers are looking to rival oil groups and sovereign wealth funds to take a stake of 5 percent to 10 percent in the company at a cost of up to $9.1 billion. BP has lost more than 50 percent of its stock market value since the Deepwater Horizon oil rig exploded in April, causing the worst offshore oil spill in U.S. history. Its share price plunge has put the oil giant at risk of an unwanted takeover approach from rivals like Exxon Mobil or Royal Dutch Shell. Middle East investors have ridden to the rescue of Western companies in past times of financial need. The Abu Dhabi Investment Authority, believed to be the world's biggest sovereign wealth fund, agreed to invest $7.5 billion into Citigroup in late 2007, at a time when the bank needed cash to offset big losses from mortgages and other investments. State-backed investors from Abu Dhabi and the nearby gas-rich nation of Qatar injected billions of pounds into British bank Barclays a year later. Those investments allowed it to avoid taking on the British government as a major shareholder. Spokesmen for ADIA and Qatar Holding, the investment arm of Qatar's sovereign wealth fund, declined to comment on questions about a BP investment. Officials at another active Abu Dhabi fund, Aabar Investments, couldn't be reached. Rachel Ziemba, an analyst at Roubini Global Economics who monitors Middle East investments, said Arab Gulf states might be interested in BP as a way to diversify geographically. "I could imagine there would be a lot of investors in the region interested in picking up a global oil major at what they see as an undervalued price," she said. "It's a sector they know, and can better distinguish whether the assets are good." 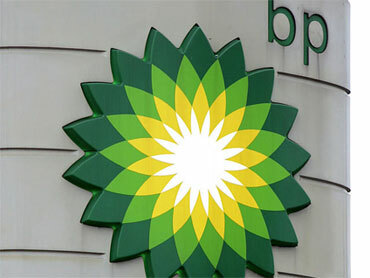 Kuwait's sovereign wealth fund, the Kuwait Investment Authority, already ranks among BP's biggest shareholders. It holds a 1.8 percent stake in the oil giant. British newspaper The Guardian, citing anonymous sources, reported late Sunday that the KIA's London branch was in talks with BP about boosting its stake significantly. Officials at the Kuwaiti fund could not be reached for comment. Government-backed investors outside the Middle East are also invested heavily in BP. Funds in Norway, Singapore and China each hold sizable stakes in the company.